Use the Old Testament flashcards to remind the children of the events leading up to today’s story. Show the children the picture of Abraham as you remind them that after people did one bad thing then another God found one person who would listen to Him; his name was Abram. Abram lived in a city called Ur. One day God spoke to Abram: ‘Leave Ur and go to the land I will show you’. Abram, his wife Sarah and Abram’s nephew Lot set off towards the land of Canaan. After a while Abram and Lot went their separate ways. Lot headed towards the green lush valley of the river Jordan while Abram headed towards the rocky hills in the west. During Abram’s time of travelling God changed his name to Abraham. A few weeks ago we heard about God’s great promise to Abraham: ‘You will have a big family and a land of your own’. 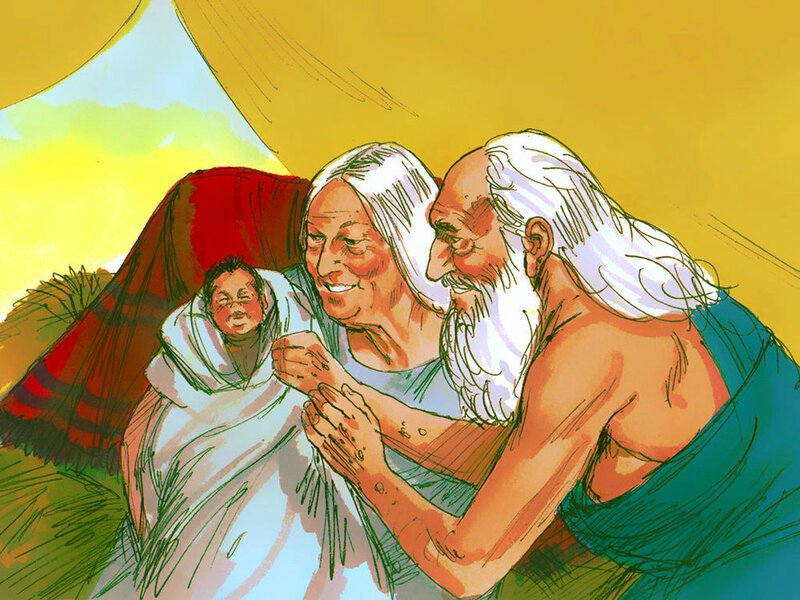 Today we hear about the birth of Abraham and Sarah’s first child. Do you know anybody called Isaac? Perhaps your name is Isaac. Isaac means ‘he laughs’. In some countries babies are named after something their parents have seen or heard around the time of their birth. 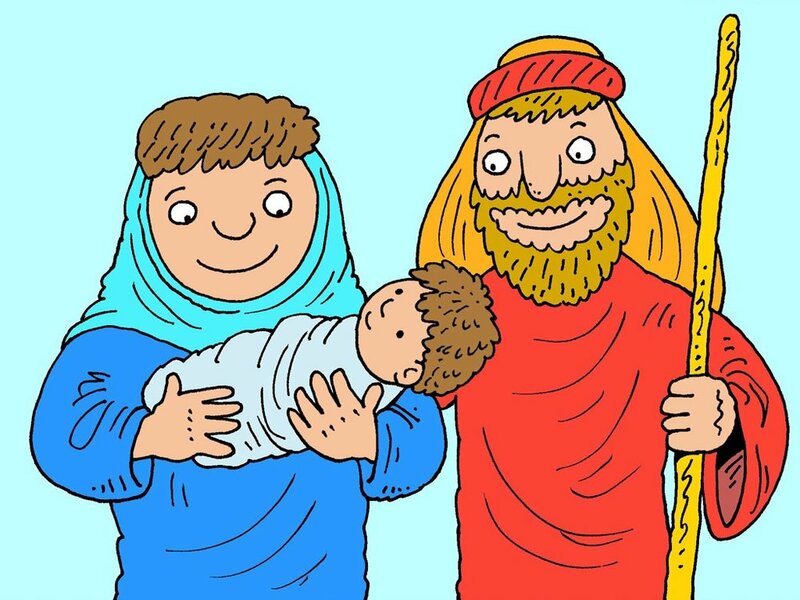 Today our story is about the birth of Abraham and Sarah’s son. Why do think they named their son Isaac? If you can get hold of a simple tent or gazebo – put one up in your teaching space and tell the story from inside. Place cushions and blankets on the floor to make it comfortable. Option 2 - Try not to smile! 1. Encourage the children to sit in a circle. 2. Explain that the aim of the game is not to smile. 3. The children must sit in silence looking at one another. They shouldn't speak or touch one another during the game. 4.It shouldn’t take long before children start to smile and giggle. If a child smiles they are out and must sit outside the circle. 5. When children start to leave the circle the other children should shuffle forwards to make the circle slightly smaller. 6. Keep playing the game until one child remains. 7. You could introduce the rule whereby children outside the circle can try and make the remaining players laugh by saying silly things. However they still must not touch the children while they are playing the game. Father God, thank you that you always keep your promises. We think about the promise you gave to Abraham, that he would have a big family and a land of his own. We remember that Abraham and Sarah had to wait and wait and wait until they had their first child. We remember that through the difficult times instead of giving up, Abraham grew to trust you more and more and more. Father God we thank you that you help us to trust you. Thank you for Bible stories like this one that help us to keep on and on believing that what you say is true. Amen.